Hey, y'all! 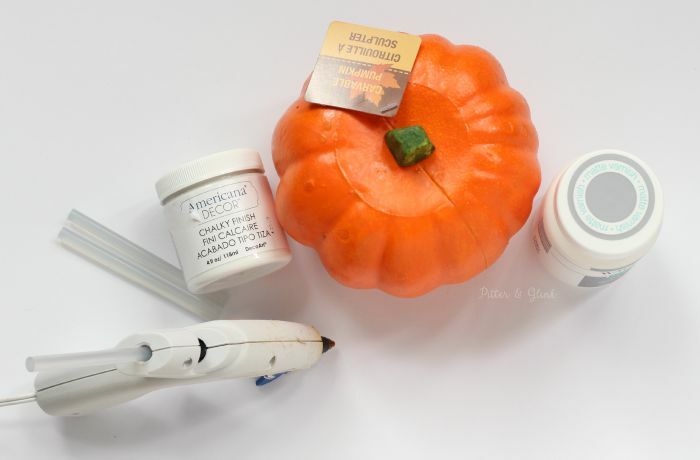 Today is the last day of dollar store pumpkin makeover week on the blog. 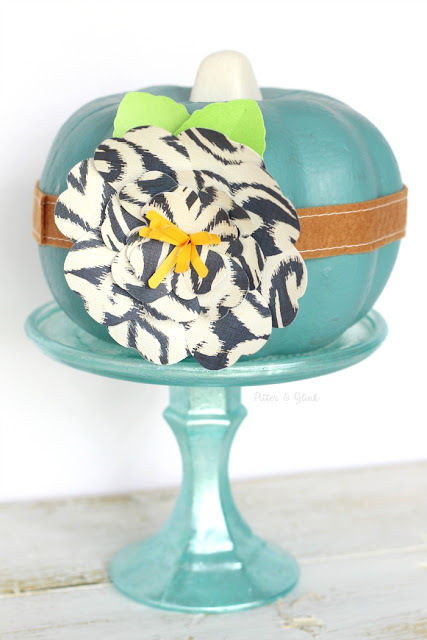 Today I'm showing you how I made a milk-glass inspired pumpkin using a cheap carve-able pumpkin from the dollar store, hot glue, and paint. 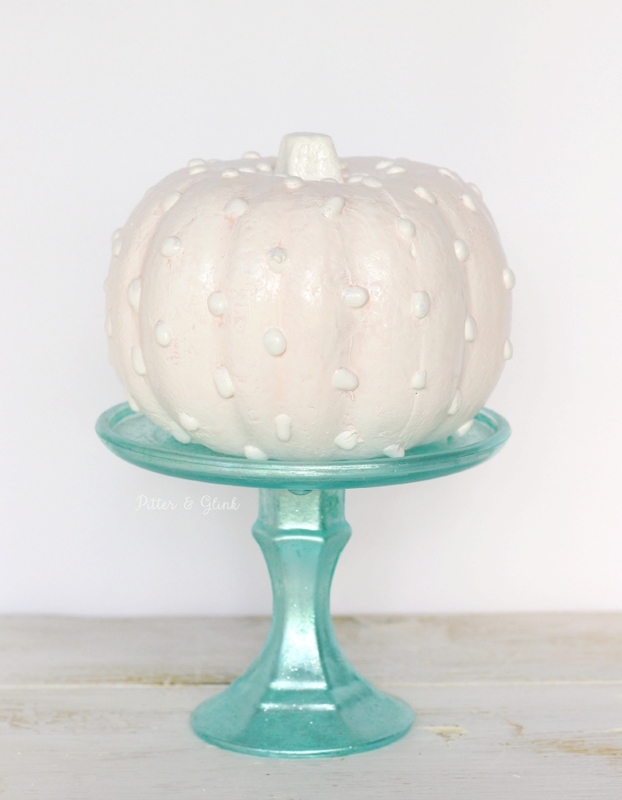 It's easy to recreate this hobnail milk glass look with a few supplies. 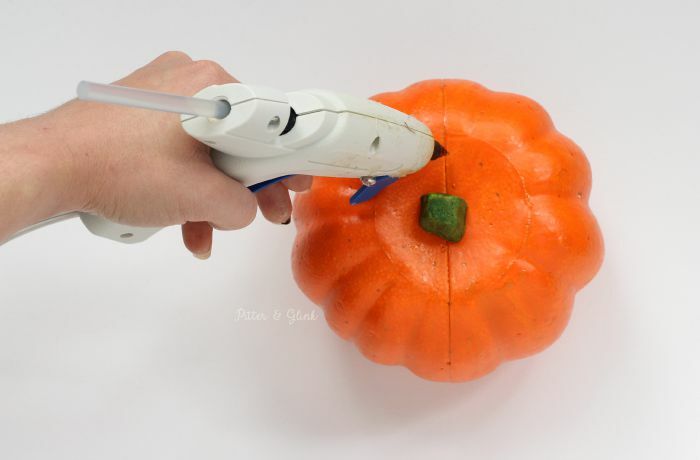 Take a pencil and lightly make evenly spaced dots on your pumpkin. (You can use a ruler if needed.) 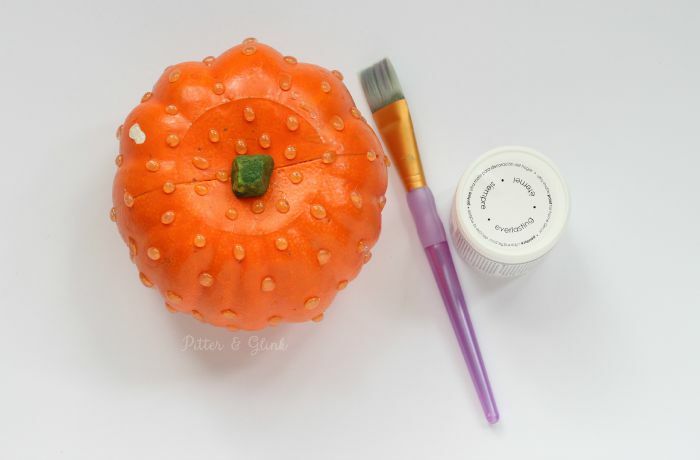 Once your pumpkin is covered in dots, put a dot of hot glue over each pencilled dot. You need to go somewhat slowly when moving from dot to dot because you don't want the hot glue to run and start looking like, well, glue runs instead of glue dots. Once your pumpkin is covered in hot glue dots, do your best to remove any hot glue strings. 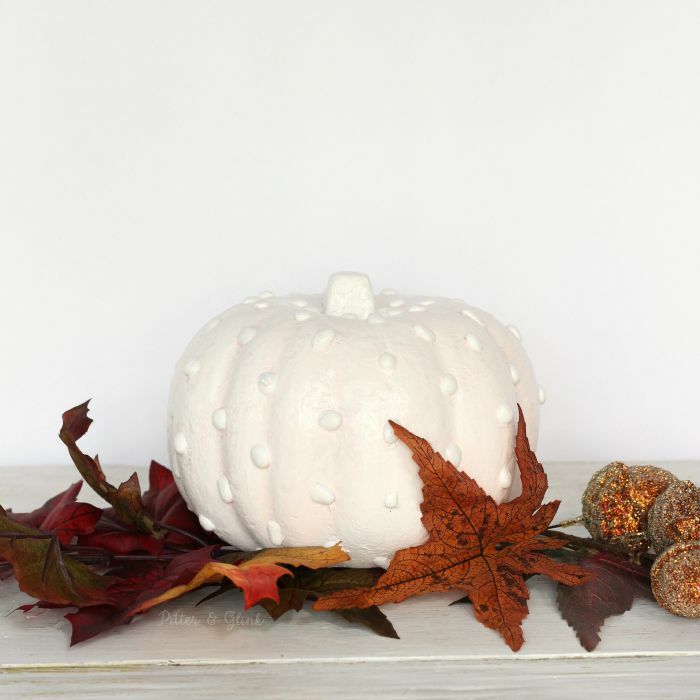 Then paint your pumpkin with white chalk paint. You will probably need to do several coats of white paint to cover the orange. 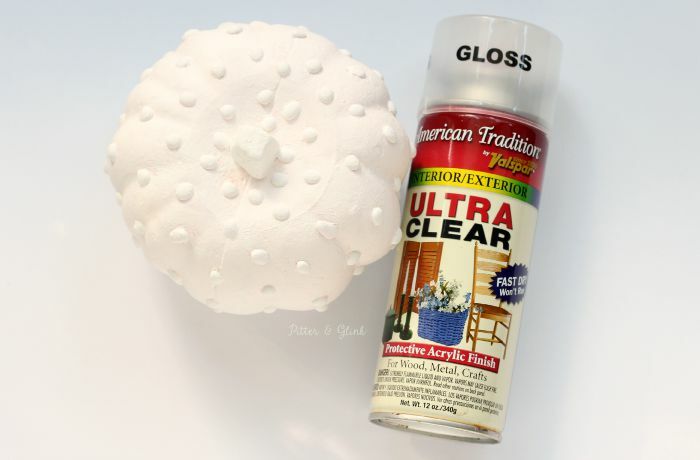 Once the pumpkin is painted and the paint dries, seal it with a clear sealer. I decided to use a gloss spray instead of the matte varnish in the supply photo because I figured the gloss spray would give me more of a milk glass look. Once the sealer dried, my pumpkin was complete. I think if I did this again I would spray paint the pumpkin with white paint instead of using the chalk paint. I feel like there would be better coverage. But I still like it even though it's not perfect! And it goes well with my other dollar store pumpkin makeovers from earlier in the week. I hope that his week has shown you that you can buy inexpensive seasonal decor and transform it easily with a little bit of paint and imagination!